Who, how much, how many and how? 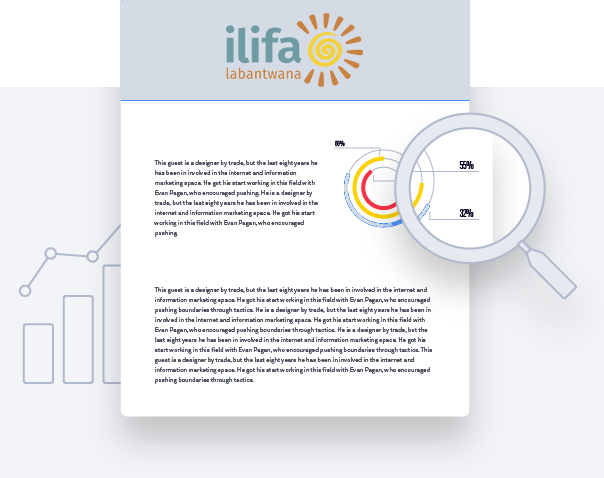 In 2015, Ilifa commissioned a review of the various funding sources for ECD learnerships for practitioners working with children aged zero to four years. This research uses available literature, budget documents and interviews to map out sources, channels, methods and amounts related to the funding of ECD learnerships in three provinces. The research reveals a complex web of actors, and substantial disparities in the administration of learnerships, funding and provision of training and support, reporting structures and co-ordination across training institutions and government departments in the provincial and national spheres. The complexity of the organisation, execution and funding of ECD learnerships in South Africa currently has a negative impact on the country’s prioritisation of ECD. Lack of co-ordination of the wide range of actors responsible for various aspects of the learnership programme is undermining efforts to strengthen the pool of qualified ECD practitioners. Addressing this is essential for improved access to and quality of ECD services for all young children in SA. This report was written by Debbie Budlender, Sultana Mapker, and Penny Parenzee. Published by Ilifa in 2015.